We understand that a visit to the dentist isn’t everyone’s favourite way to spend a half-hour, so we go out of our way to give you a really friendly welcome. But as well as the tea, coffee, comfy chairs and chat, we know there’s no substitute for professionalism in the dental surgery. 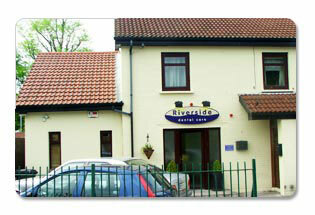 At Riverside we’re able to provide the full range of standard procedures, as well as many specialist treatments. In the rare cases in which we’re unable to provide specific expertise, we have a range of approved specialist colleagues to whom we’re happy to refer. The surgery at Mahon has been fitted out from scratch with the latest equipment, including three identical surgeries, fully computerised with digital x-rays and intra-oral cameras. Modern technology means that we’re able to provide treatment quickly and effectively, while the patient remains relaxed and stress-free. Importantly, the latest diagnostic techniques also help us to recognise and treat potential problem areas earlier, before they become serious. And if the latest digital technology still doesn’t impress you, maybe the free parking and friendly welcome will!